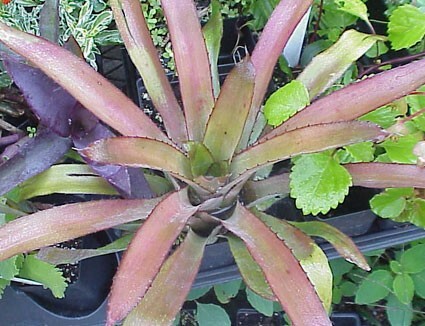 "Bristle Cone Plant" Copper pink hued silver urn edged in maroon teeth--compact; pinecone inflorescence of red bracts over- whelming the small yellow blossoms, held aloft on stout stem. 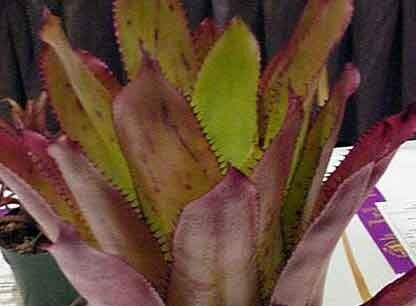 Erect urns need full sun to maintain brilliant coloration. 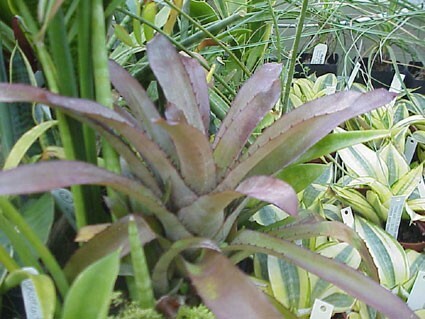 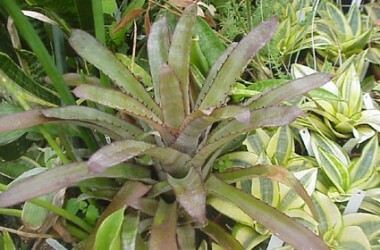 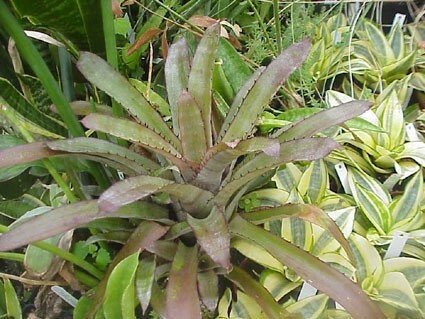 An heirloom Bromeliad still essential in any collection for its distinctive elegant form and vivid coloration.